We have the latest and best technology available! The Lumenis Lightsheer Desire Laser Hair Reduction. range of hair colors, course or fine, of any laser hair removal system. Provides maximum patient safety and coverage of the largest area, unmatched by other high-tech hair removal systems. Women most often inquire about treatment for chin, upper lip, bikini line, arms, and underarms. Men ask about removal of hair on the back, chest, stomach, and neck. What else can the Lightsheer Duet treat? 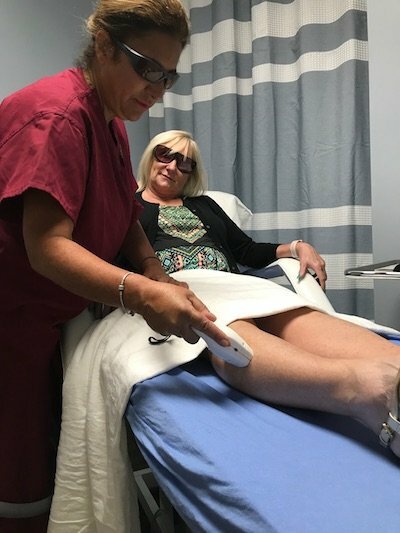 The Lightsheer Desire is FDA cleared for the treatment of a wide range of cosmetically undesirable benign pigmented lesions as well as leg veins, which 50% to 60% of both men and women have. Sclerotherapy is still considered the treatment of choice for the removal of superficial leg veins, however, many vessels may be too small to inject. The Lightsheer diode laser system provides another option, requiring no injections. The Lightsheer Desire also treats “razor bumps”, a common condition in which the re-growing hair, after shaving, curves back towards. Lightsheer Desire has an excellent safety rating for all skin types including the darkest skin, making it a safe, effective long-awaited treatment for razor bumps. 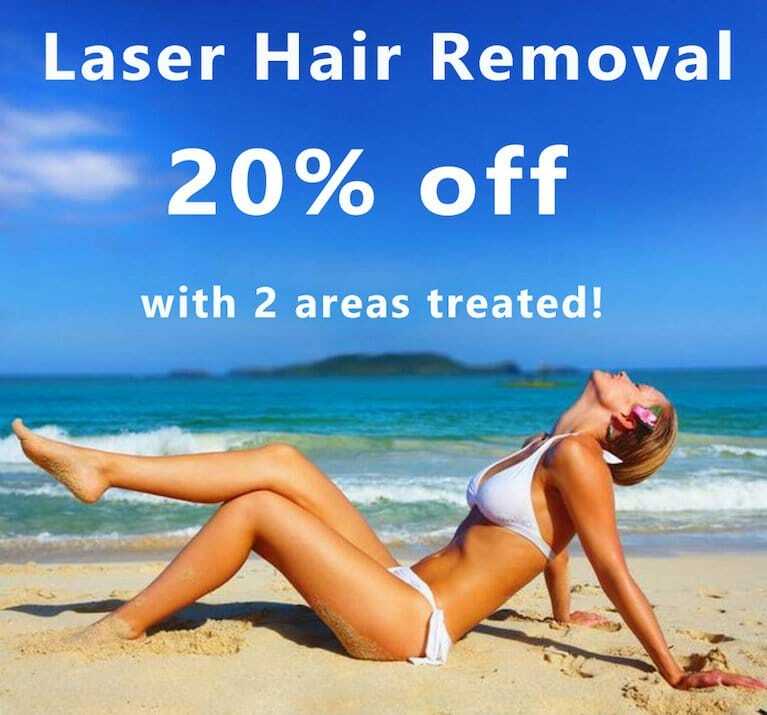 Laser hair removal is accomplished using a laser that sends pulses of red or infrared laser light, which is attracted to the melanin pigment in the hair shaft. The light is on long enough to heat the hair shaft, but not long enough to cause damage to the surrounding skin. This light is absorbed by the unwanted hair. The laser either signals the hair follicle to go into a prolonged resting stage, or it destroys the follicle. Hair cycles are between growing and resting stages. When hair follicles are in the resting stage, the follicle shortens and the visible hair falls out. This cycling of hair explains how the hair all over your body is able to continually grow without our eyebrows or arm hair, for example, growing to very long lengths. When you have laser hair removal at our Portsmouth, New Hampshire office, the hair follicles remain in this resting stage much longer than they normally would. The laser only “sees” actively growing pigmented hair. Any hair in the resting phase when laser hair removal is administered will not be adequately treated. Some hair follicles may enter their growth cycle after your treatment. That is why six treatments, six weeks apart, are required for optimal results. However, everyone is different and some people are pleased with results after as few as 3 treatments. After three laser hair removal treatments, most people enjoy a period of months when there is no hair at all. Subsequently, far less hair than there was originally returns, and the hair remains finer and lighter. To maintain a completely hair-free appearance, you may need to repeat your laser hair removal, but our patients invariably achieve a major reduction in thickness and density of hair after the initial three. Laser treatments work best on dark hair and less well on white hair because there is more pigment in darker hair.